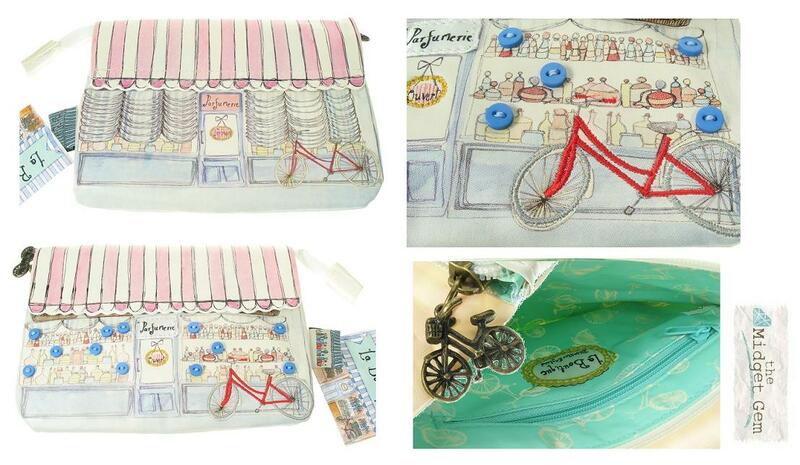 A wonderful vintage post card design cosmetics bag from the 'Paper Plane' collection at 'Disaster Designs'. 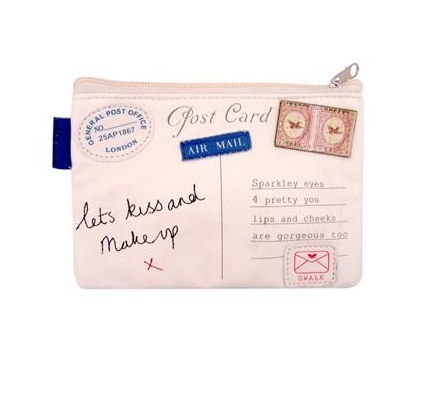 Stitched details include: 'lets kiss and make up x', air mail label, stamps and S.W.A.L.K. Printed text: 'sparkley eyes, 4 pretty you, lips and cheeks are gorgeous too'. Metal swallow charm zipper. Zipped fastener. 17cm/170mm (width) x 12cm/120mm (height). PVC. Wipe Clean. 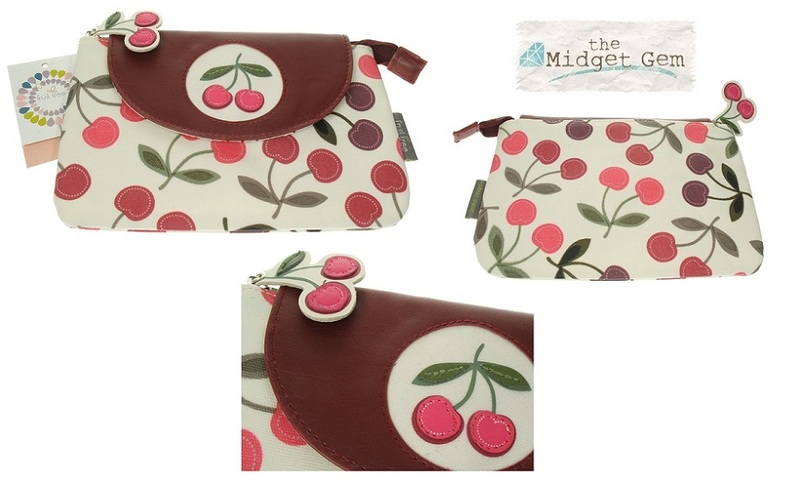 Cherry themed make-up case, the outer face fabric is coated in a wipe clean coating (very serviceable). Cream with burgundy spot cotton fabric interior. 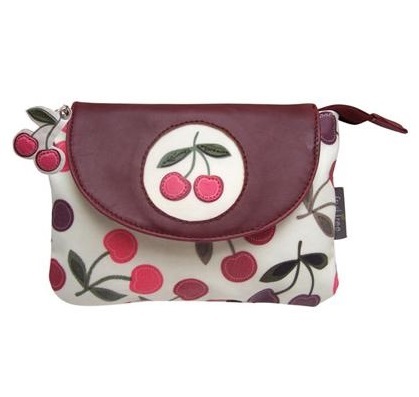 Cherry applique details. Dimensions 8.5 inches./21.5 cm length x 5.5 inches/14 cm height. A very pretty design from Disaster Designs, from the 'La Boutique' collection. Zip fastener with a fold over flap that has a press-stud fastener. Wipe-clean faux leather outer-shell. Decorated with a French Perfume shop, with windows full of bottles. Various embroidered details including a bicycle, ribbon and small buttons further decorate the piece. 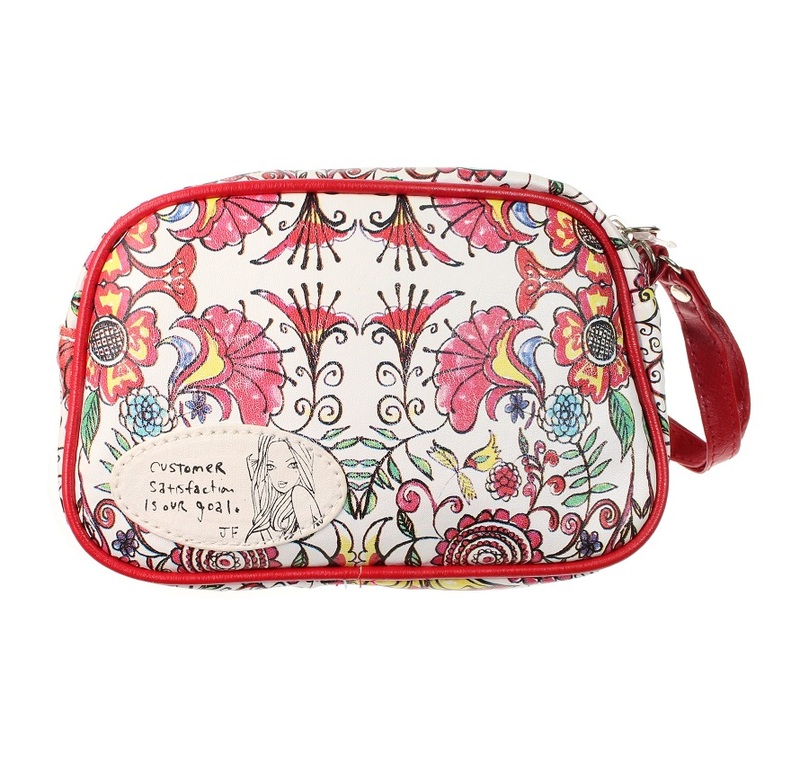 The compartment has a further inner zipped section. A pale green wipe-clean interior with a bicycle pattern. Metal bicycle charm forms the zip-pull. Size 7 inches/18 cm x 4.5 inches/13 cm. 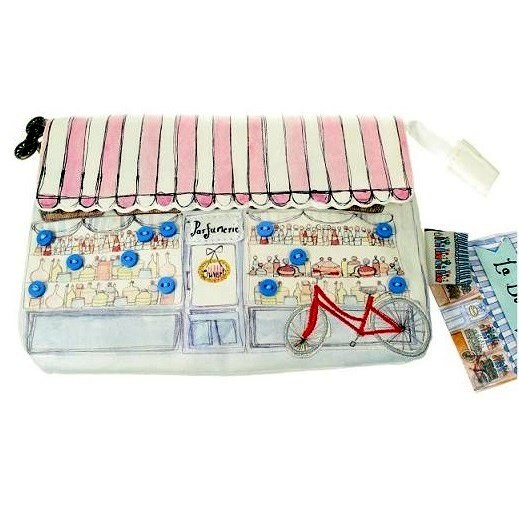 Very pretty make-up case from the 'Bobbypin' range at Disaster Designs. 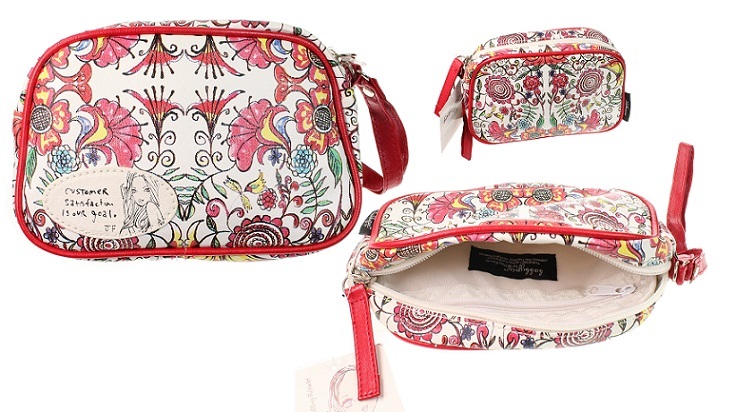 A flower power design in wipe-clean outer case. Zip fastener with a carry handle. Inner zipped compartment. White with red. Size 18cm/7 inches x 12.5cm/5 inches x 5cm/2 inches.